What does the Bible say about drinking? Is it a sin to drink beer or wine? That said, there is nothing in the Bible that forbids a Christian from drinking alcohol. We even see Jesus Himself drinking wine on occasion (John 2:1-11; Matthew 26:29). In fact, as His very first public miracle, Jesus changed water into wine at a wedding. And it wasn't just any cheap wine either; it was the good stuff! Even the master of the feast, who had no idea what Jesus had done, said to the bridegroom, "Everyone serves the good wine first, and when people have drunk freely, then the poor wine. But you have kept the good wine until now" (John 2:1-11). Because the water had a tendency to make people sick, the beverage of choice was wine because the likelihood of contamination was pretty low. We can even read in 1 Timothy 5:23 that Paul tells Timothy not to drink the water because it was probably giving him a stomachache. So many people drank wine simply for health reasons. Indeed today, even the American Heart Association says a glass of red wine each day can be good so long as moderation is always kept in mind and there's no history of alcohol abuse. First Corinthians 6:12 addresses addiction by saying, "'All things are lawful for me,' but not all things are helpful. 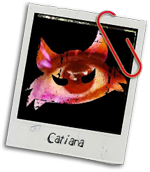 'All things are lawful for me,' but I will not be dominated by anything." We should never allow anything to come between us and God, and any type of addiction will do that (1 Corinthians 6:12; 2 Peter 2:19). Letting alcohol "dominate" your life or actions goes against allowing the Holy Spirit to guide you. Again, too much alcohol in your system makes for bad decision-making. Being a thoughtless jerk is a sin. Okay, the Bible doesn't say that specific phrase, but the idea is still there. First Corinthians 8:9-13 is the passage that talks about not causing another believer to "stumble" in his spiritual walk. That is, if your drinking causes another Christian to be tempted to go against his conviction not to drink, then don't drink in front of him. We should be helping each other (1 Thessalonians 5:11), not making life harder. Also, keep in mind that you are called to be a light to the world. Ephesians 5:8 says that "at one time you were darkness, but now you are light in the Lord. Walk as children of light." Stumbling around drunk doesn't exactly send the message of God's light and love. But there is nothing wrong with drinking responsibly with friends. So it IS okay to drink alcohol? We want to be sure to note that if you have family members who have struggled with alcoholism, it would be wise to steer clear yourself. You may have a genetic predisposition to getting addicted to alcohol. Matthew 26:41 says, "Watch and pray that you may not enter into temptation. The spirit indeed is willing, but the flesh is weak." There is no good reason to put yourself in a position where you could open up the serious problem of addiction. Drinking alcohol in small quantities is not harmful to your health, and it will not automatically get you addicted after one drink. You have the freedom to drink or not drink alcohol—either is perfectly fine. What is NOT okay is drunkenness, addiction, or allowing your actions to harm others' relationships with you and God. * Check out these verses if you want to read up on some more of what the Bible has to say about alcohol: Leviticus 10:9; Numbers 6:3; Deuteronomy 29:6; Judges 13:4, 7, 14; Proverbs 20:1; 31:4; Isaiah 5:11, 22; 24:9; 28:7; 29:9; 56:12. 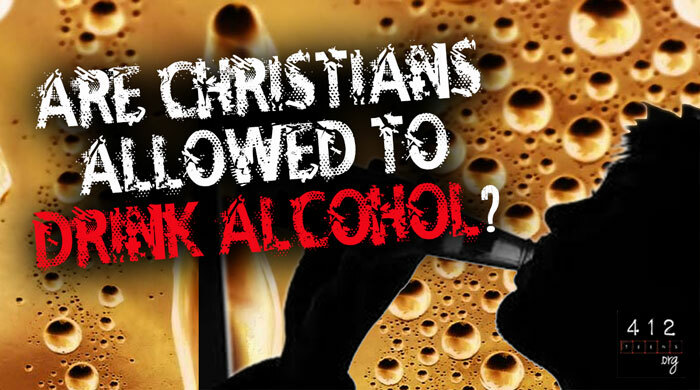 There is nothing in the Bible that forbids a Christian from drinking alcohol. Alcohol, in and of itself, is not inherently sinful. However, drunkenness and addiction to alcohol ARE sinful and should definitely be avoided by Christians. We should also keep in mind our example to the world as followers of Christ and to fellow believers. While drinking alcohol in small quantities is not harmful healthwise and won't automatically make you an alcoholic, you should still be wise if you choose to consume alcohol—do so legally and within moderation.